You just don’t need window cleaner anymore! Many of you know I’ve been on a “crusade” for a while to make sure no one I care about buys dryer sheets anymore . User dryer balls instead to be healthier AND save energy! My new focus is to make sure no one I care about is buying and using window cleaner, because you just don’t need it anymore! Technology has advanced so that you can use our high-tech microfiber and just water. So don’t chance your kids and pets licking the residue off your sliding glass door, not to mention reducing your own chemical exposure while cleaning. Oh, and how many trees will you save by not using paper towels? Use our Norwex basic pack instead. (Don’t let the word “basic” fool you – these things are magical.) Not only is it a healthier way, it’s ALSO faster and easier! AND, you buy them once and use them for years – cheaper, too! Do you know anyone still buying window cleaner? I’d love to do a quick demo for them! P.S. They’re not just for windows. 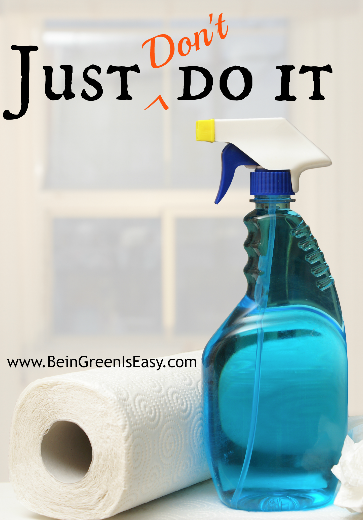 You can use them all over your house – kitchen, walls, bathrooms, even carpet stains! One of the highlights of our Norwex national conference was hearing from the founder of WashedAshore.org. Angela, a retired art teacher, talked about walking the beaches near her home seeking solace after the death of her husband. But instead of comfort, she found…garbage. She was shocked by the volume of trash she saw washed up on the shorelines and of course wanted to take action. This is my favorite part of the story: Angela was wise enough to know that people aren’t inspired to take action when they are discouraged. She wanted to find a way to spread the message in an uplifting way. And wow, did she ever. The results are stunningly beautiful. And as you take a closer look, hugely impactful. Use less plastic! Lightweight items like plastic bottles, plastic bags, and plastic straws blow out of garbage cans and landfills and end up in our waterways, which bring them to the ocean. Filter your own water and use reusable bags and reusable straws . Follow WashedAshore.org on Facebook and YouTube, and bookmark their blog for some amazing behind-the-scenes stories! Share this post to raise awareness! Mom, I Want Norwex Water! But the more I learned, the more excited I got. And now after using it for a few weeks, I’m in LOVE. My kids love the taste of it, even my extra-sensitive son. When we travel, I have always let Blake pick out the brand of water jug we got in the store, because they all taste different to him! We’ve had a reverse osmosis system for twelve years, so I’ve felt good that we were getting rid of the bad stuff in our tap water, but I’ve also known that it leaves the water slightly acidic and without the good minerals. Now we drink delicious pH neutral water with Magnesium and other good stuff added back in! Win, win, win. So I’m a convert, big time! 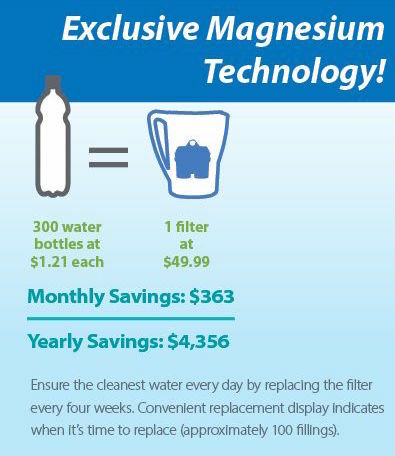 This water filtration system with exclusive magnesium technology has become my go-to housewarming and get-well gift. And we will definitely be packing it in our suitcase so we don’t have to buy bottled water when we travel. Did you know 60 MILLION plastic bottles end up in our landfills every single DAY? If you know anyone who buys bottled water, save them a whole lot of money (and give our planet a break!) by recommending the Norwex water pitcher to them! 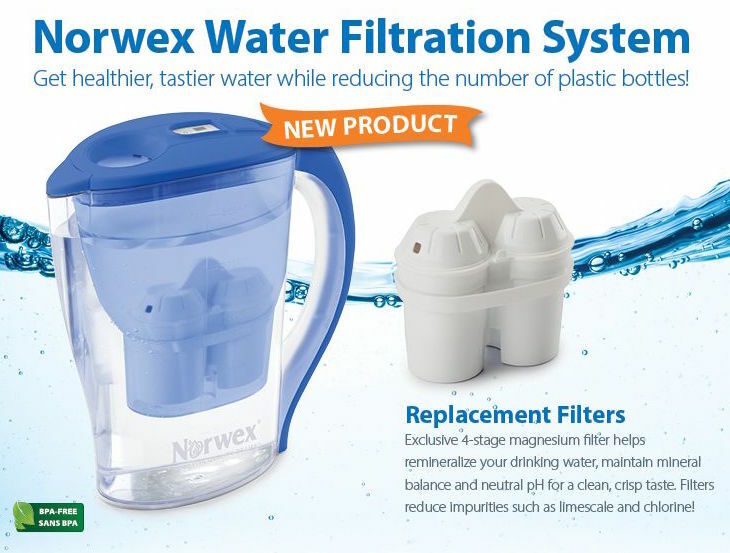 Are YOU drinking the Norwex water? More than 60 million plastic water bottles are discarded every DAY. At best, they are ending up in landfills where they take up to 700 years to decompose. Sadly, many of them end up as litter or in our lakes and rivers. Just in North America, the plastic water bottles we use in a year require more than 15 MILLION barrels of oil for manufacturing, transport, and disposal. That would fuel about 100,000 cars for a YEAR. The energy used by consuming single-use plastic bottles could power 190,000 homes. Recycling ONE plastic bottle can conserve enough energy to light a 60W bulb for 6 hours. The Recycling Institute says only about one in six plastic bottles sold in North America is recycled. That means, of every 60 million water bottles we use, 50 MILLION end up in landfills or as litter. Are you moved to action? 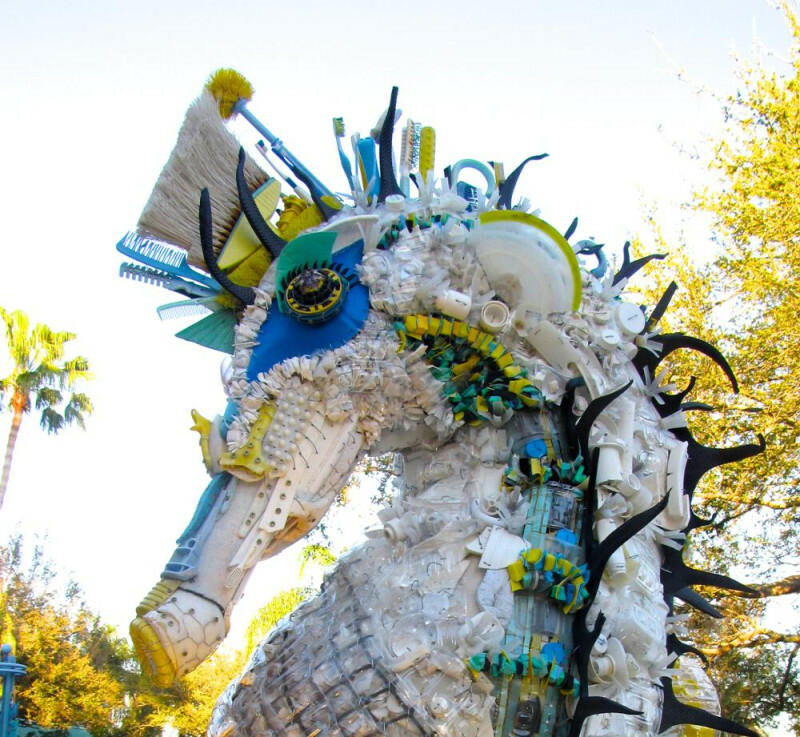 Will YOU be the one making sure plastic bottles are recycled at your next family or company event? 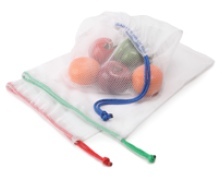 New reusable produce bags – HUGE impact on plastic waste! One of the healthiest things you can do for your family is eat fresh vegetables and fruit. 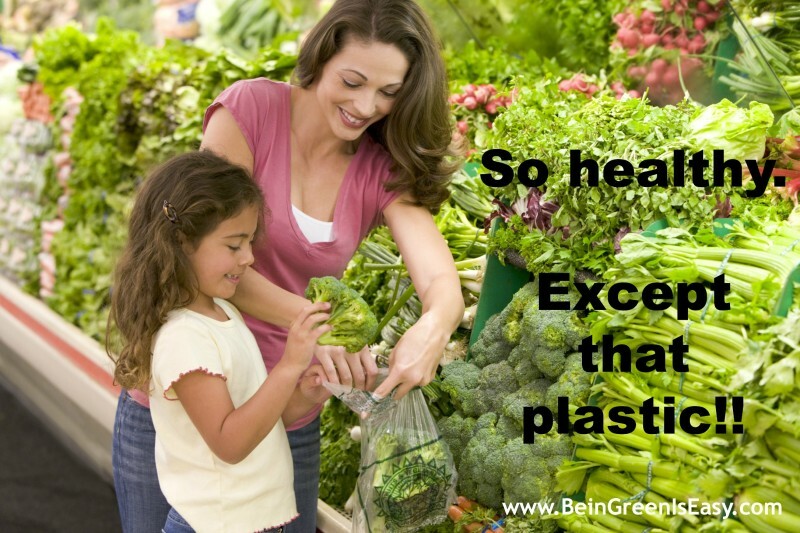 So don’t you wish there was an alternative to those plastic produce bags? They’re really hard to re-use because they’re so thin, which makes them single-use-and-to-the-landfill plastic. Ugh. Eco-friendly shoppers have gone to great lengths to find alternatives. But you know me, I want it both easy AND green! So I am SO excited about the brand new Norwex Reusable Produce Bags! They’re so EASY to use! Durable (strong mesh polyester weave), washable, and of course BPA-free, Phthalate-free, and lead-free. Wash, rinse and store right in the bag! You’ll not only need a set for your own house, but what an amazing teacher gift, hostess gift, or housewarming gift! If our family uses these bags once a week, we’ll save 150 plastic produce bags a year. Last year in the US, 1,440,000 homes purchased Norwex products. If all of those homes switch to reusable produce bags, we will use 216 MILLION fewer plastic produce bags in one year!! Won’t our oceans be happy?